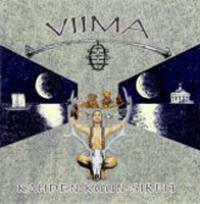 The latest disc from Viima continues the traditions that we heard on their previous one. 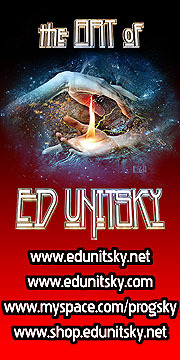 That’s killer modern progressive rock that’s well rooted in the styles of 1970’s prog. What we don’t have here are the female vocals – this time around it’s male ones. The music is perhaps less Renaissance like for that reason, but they have a whole host of classic prog influences in place. Whereas the last album didn’t have an epic, this one does – and it’s a whopper. Once again the lyrics are all in Finnish, but when the music is this good, who needs to know what they are singing about? 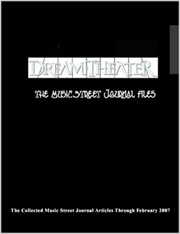 This review is available in book format (hardcover and paperback) in Music Street Journal: 2009 Volume 4 at lulu.com/strangesound. A bit of psychedelic build up starts this. The cut works out to a guitar line that reminds me of Celtic prog from bands like Tempest. It works out from there to more melodic progressive rock that has some really soaring elements to it. The main riff that returns has that same Celtic thing, perhaps also calling to mind Jethro Tull a bit. This works through a number of changes, but nothing is a drastic change. It's a cool hard edged melodic prog jam. It gets into some pretty triumphant sounding stuff at times. There is some keyboard dominance around the two and a half minute mark. It reminds me of some of the keyboard passages on Yes Tales from Topographic Oceans album.. The vocals join after that, at first in an almost space rock mode. It works out to more powerful territory from there. It shifts out to some uptempo prog that seems to reach for the stars. There is some great melodic guitar soloing later along with other cool instrumental work. None of this is flashy stuff, but rather the kind of thing that serves the song, reaffirming and exploring the musical themes presented. A short flourish ends the piece in style. An extended symphonic prog musical journey serves as the intro here. This reminds me quite a bit of Rick Wakeman’s solo work at times. They drop it way down to a folk meets prog element for the balladic vocal section and this is built gradually up. It carries on organically and the vocals get extremely powerful. The track crescendos, feeling like it’s about to burst into a crunch prog jam, but then takes us out into a new melodic and rather mellow motif instead. Eventually this resolves into a harder rocking jam that reminds me quite a bit of Nektar. They work through a number of changes and alterations and move it towards more purely symphonic sounds later to take it out. This comes in feeling a lot like something from Frank Zappa. As it carries forward we are given some ELP like bits added to this sound. There are even some hints of Jethro Tull as they continue. They continue taking us through a number of changes and alterations and this is an amazingly cool piece of music that encompasses a lot of sounds and elements during its course. We get some full on jazz treatments later. Then we are treated to a killer vintage guitar hero styled solo. This is the only instrumental on show here. Where the tracks leading up to this are in the six to eight and a half minute range, this is a full epic piece, clocking in at a massive twenty two plus (almost twenty three) minutes. The ethereal element that starts this off reminds me of old school Genesis. Vocals come in over the top of this atmospheric texture. At around the one minute mark they shift this out to a tentative jam that’s a bit like Jethro Tull. From there it turns to something rather funky that combines Zappa with ELP and the next vocals come in over a stripped down arrangement in this style. It shifts to something rather funky from there – and the Zappa sounds are still present, but in an unusual way. They carry on by alternating these two elements – in a more potent iteration each time. Other instruments are added over the top as they carry forward. After bring it up to something really powerful, they drop it to a great jazz groove around the three and a half minute mark and the guitar takes a tasty solo in a style that’s befitting the accompanying music. The next vocals come in over this full jazz styled section. Then around the four and a half minute mark they give us a more full prog treatment complete with Genesis-like keyboard soloing. Then another change gives us a more stripped down approach for the next vocals. A bit of a false ending is given a one line spoken vocal and then they take us out into some almost funky prog that reminds me just a bit of Pink Floyd. They strip it down for the next vocals. Eventually we’re taken out to a more full prog arrangement from there. But once again it drops way down for the vocals. When they come back out into a more developed prog rock jam it’s one of the most powerful ones on the disc and then they drop it down to something that reminds me quite a bit of Close to the Edge era Yes. From there we get a jazz type treatment. We’re not done with the alterations, though, as they take us to a mellow, rather bluesy, guitar treatment that calls to mind old school Pink Floyd quite a bit. They gradually build up from there, reminding me a bit of the Meddle album. We are pulled through a number of changes and iterations on this sound as it’s built way up. It stops around the sixteen and a half minute mark and we’re deposited back at the beginning of the piece. Around the seventeen and a half minute they take it into a bouncy sort of prog jam that reminds me a little of Nektar. This is organically built up and we get some more tasty guitar soloing along this ride. Around the twenty one minute mark this becomes extremely powerful. As they bring it back down from there I’m again reminded of Genesis. This section eventually takes it out.